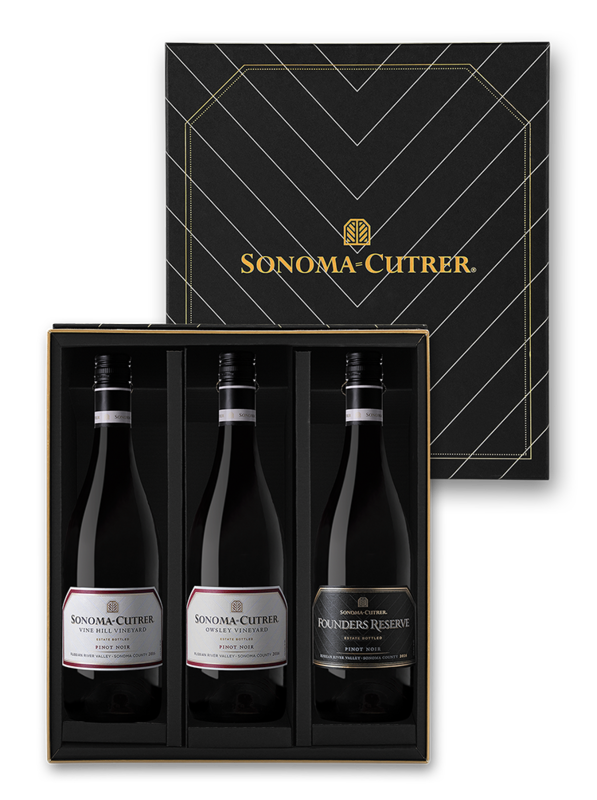 One of Sonoma-Cutrer's best kept secrets is our award-winning Pinot Noir wines. The complex flavor profiles in this selection reflect each vineyards' unique terroir and great attention to detail of our dedicated winemakers. These full bodied, richly textured wines pair beautifully with your holiday table. 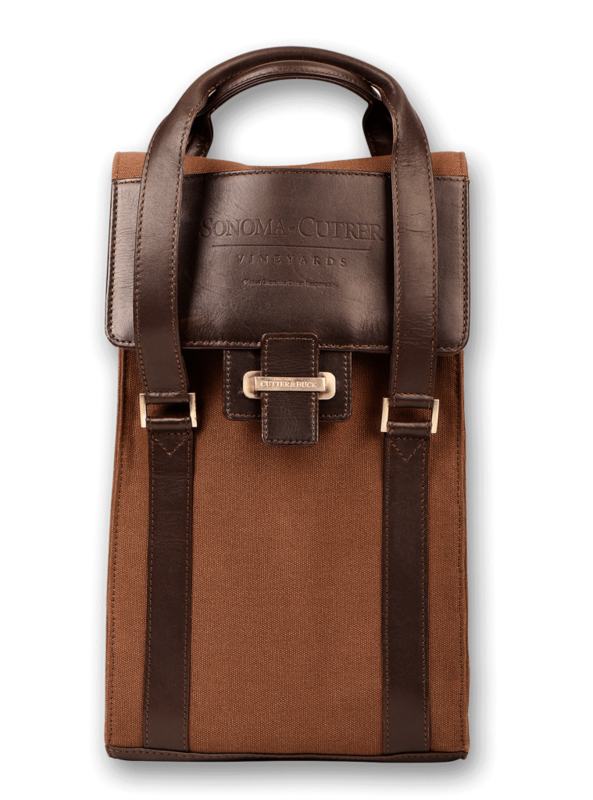 SONOMA-CUTRER is a registered trademark. 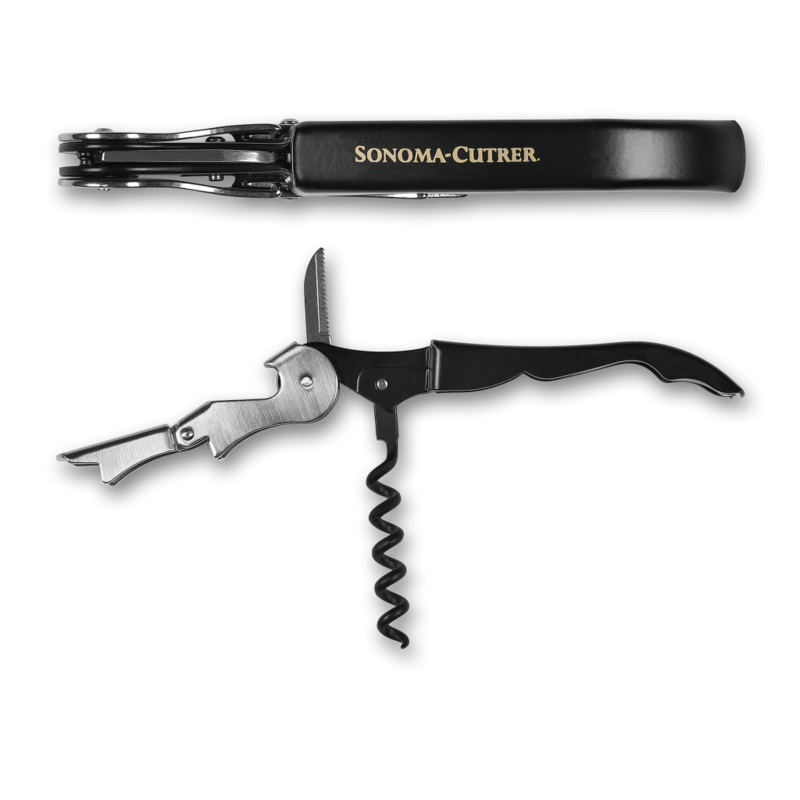 ©2019 Sonoma-Cutrer Vineyards, Windsor, CA. You are not old enough to receive our newsletter. Gain access to rare vintages, the Winemaker's Release Collection, VIP events and more! 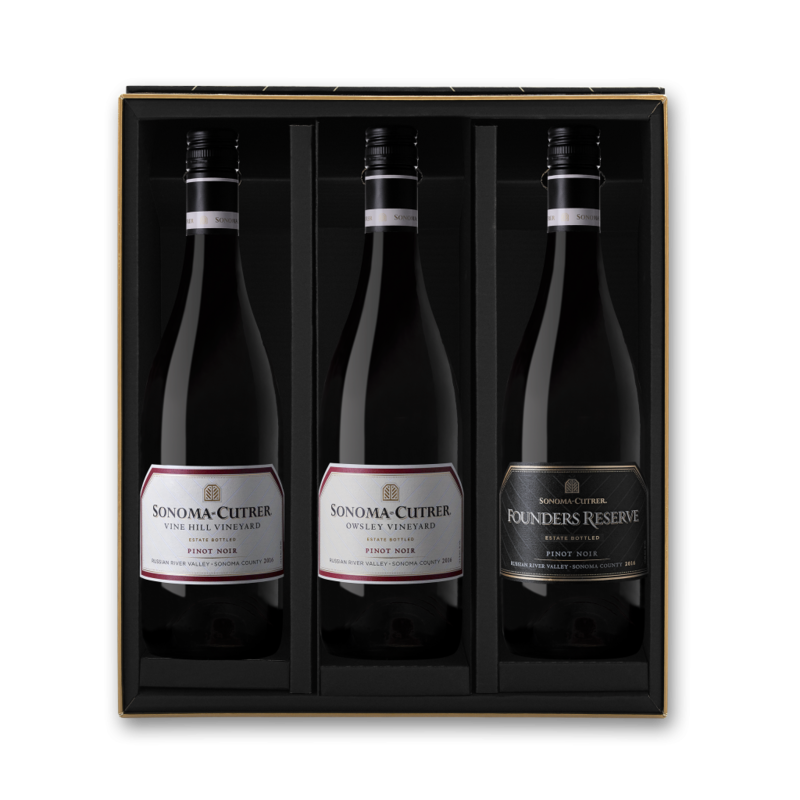 Members receive up to 30% off all wine purchases. 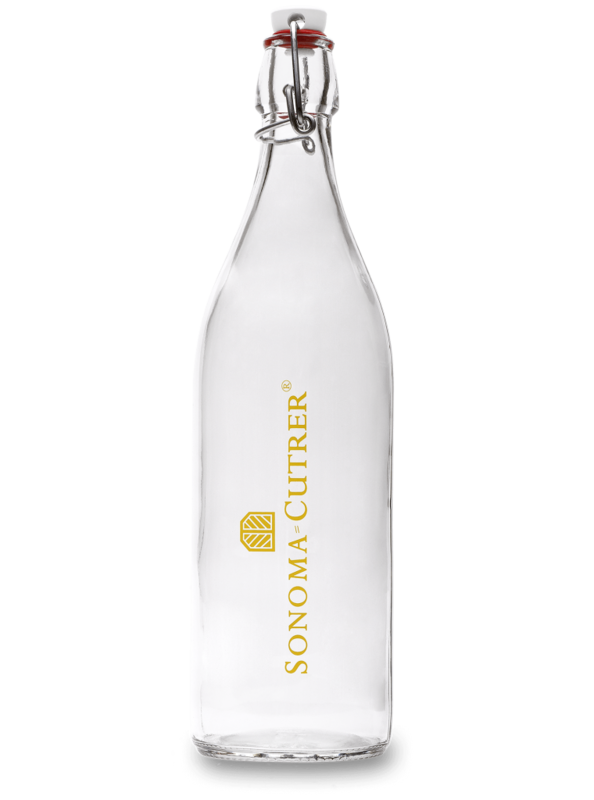 SONOMA-CUTRER is a registered traedemark.© 2019 Sonoma-Cutrer Vineyards. All rights reserved. visit Responsibility.org and OurThinkingAboutDrinking.com. See Nutritional Information. To access this Website you must be of legal drinking age in the country where you reside. Please exit this Website immediately if you are not of a legal age for consuming alcoholic beverages in the country or territory in which you reside, or are in a country or territory where the access to this Website is not permitted. You are of a legal age to consume alcoholic beverages pursuant to the laws of the country or territory in which you reside or of the age at which you have legal capacity to contract in the country in which you are resident, whichever is the greater. Except for the limited license to download and print certain material / information from this Website for non-commercial and private purposes only, you have no right to use Company’s Proprietary Material. All rights with respect to Company’s Proprietary Material remain the exclusive property of Company or its affiliates. 4. Information Submitted Through the Website. 5. Registration; User Names and Passwords. From time to time, certain sections of this Website may be restricted to registered users. Where a registration procedure applies, you may be required to register with Company in order to access certain areas of the Website. With respect to any such registration, we may refuse to grant you, and you may not use, a user name or email address that belongs to or is already being used by another person; that may be construed as impersonating another person; that violates the intellectual property or other rights of any person; that is offensive; or that we reject for any other reason in our sole discretion. You are responsible for maintaining the confidentiality of any password you may use to access the Website, and you agree not to transfer your password or user name, or lend or otherwise transfer your use of or access to the Website, to any third party. You are fully responsible for all transactions (including any information transmitted in connection with any transactions) and other interactions with the Website that occur in connection with your user name. You agree to immediately notify Company of any unauthorized use of your password or user name or any other breach of security related to your account, your user name or the Website, and to ensure that you "log off" and exit from your account with the Website (if applicable) at the end of each session. We are not liable for any loss or damage arising from your failure to comply with any of the foregoing obligations. We expect users of the Website to respect the law as well as the rights and dignity of others. While using the Website you agree to comply with all applicable laws, rules and regulations. In addition, your use of the Website is conditioned on your compliance with the rules of conduct set forth in this section, and failure to comply with these rules of conduct may result in termination of your access to the Website pursuant to Section 15 (Miscellaneous) below. Use the Website for any fraudulent or unlawful purpose. Use the Website to defame, abuse, harass, stalk, threaten or otherwise violate the legal rights of others, including without limitation others' privacy rights or rights of publicity, or to harvest or collect information about users of the Website. Impersonate any person or entity, including without limitation any representative of Company; falsely state or otherwise misrepresent your affiliation with any person or entity in connection with the Website; or express or imply that we endorse any statement you make. Interfere with or disrupt the operation of the Website or the servers or networks used to make the Website available; or violate any requirements, procedures, policies or regulations of such networks. Restrict or inhibit any other person from using the Website (including without limitation by hacking or defacing any portion of the Website). Use the Website to advertise or offer to sell or buy any goods or services for any business purpose without Company's express prior written consent. Reproduce, duplicate, copy, sell, resell, link to or otherwise exploit for any commercial purposes, any portion of, use of, or access to, the Website. Modify, adapt, translate, reverse engineer, decompile or disassemble any portion of the Website. Remove any copyright, trademark or other proprietary rights notice from the Website or materials originating from the Website. Frame or mirror any part of the Website. Create a database by downloading and storing Website content. Use any robot, spider, site search/retrieval application or other manual or automatic device to retrieve, index, "scrape," "data mine" or in any way gather Website content or reproduce or circumvent the navigational structure or presentation of the Website without Company's express prior written consent. Additionally, you acknowledge and agree that you (and not Company) are responsible for obtaining and maintaining all telecommunications, broadband, and computer hardware, equipment, and services needed to access and use the Website and for paying all charges related thereto. 7. Forums and Review Submissions. 7.1 Forums: Company may offer features through the Website that enable you to post information, photographs and other materials and images publicly (collectively referred to herein as "Forums"). All of the rules of conduct described in Section 6 above apply to the Forums. Additionally, without Company's express prior written consent, you may not use the Forums for any commercial purposes, including the promotion or advertisement of any goods, services or opportunities, and you may not use the Forums to solicit other Website visitors or users to visit or become members of, subscribe to or register with any commercial online service or other organization. 7.2 Reviews: We may also enable you to submit a product review (“Review”). To write a review you must have purchased a product using a valid method of payment. When you submit or make available any information, photographs or other materials and images through the Forums or otherwise through the Website (" Review"), you acknowledge and agree that those Reviews, may be made available to the general public, and may be used by Company without restriction. The review must be your own original opinion and writing and must not infringe the rights of any third party. • There are unusually high numbers of reviews for a product posted in a short period of time, or where the review appears to be paid for, incentivised or otherwise not legitimate. 7.3 The Forums and Reviews include the opinions, statements and other content of third parties. We are not responsible for screening, monitoring or verifying such content, including such content's accuracy, reliability or compliance with copyright or other laws. Any opinions, statements or other materials made available by third parties through the Forums or otherwise through the Website are those of such third parties and not of Company, and Company does not endorse any such opinions, statements or materials. We may remove objectionable statements or other content from the Website at any time if we deem removal to be warranted. Please understand that removal or editing of any Submission or other materials may not occur immediately. You acknowledge and agree that Company has no control over, and shall have no liability for any damages resulting from, the use (including without limitation re-publication) or misuse by any third party of information voluntarily made public through the Forums or any other part of the Website. 9. Links to or from Other Websites. Except as otherwise expressly stated by Company on the Website, Company is not affiliated or associated with operators of any third party websites that link to or are linked from the Website. Company expressly disclaims any responsibility for the accuracy, content, or availability of information found on third party websites that link to or are linked from the Website. We cannot ensure your satisfaction with any products or services that are available through any third party site that links to or is linked from the Website because these third party sites are owned and operated by independent entities. We do not endorse any of the products or services, nor have we taken any steps to confirm the accuracy or reliability of any of the information, made available through any third party sites. We make no representations or warranties as to the security of any information (including without limitation credit card or other payment card and other personal information) that you may provide or be requested to provide to any third party, whether through such a third party site or otherwise. Company shall have the right, at any time and at its sole discretion, to block links to the Website through technological or other means without prior notice. While the Company endeavors to ensure that the information on the Website is correct, the Company does not warrant the accuracy and completeness of the material on the Website. The Company may make changes to the material on the Website, or to the products and prices described in it, at any time without notice. The material on the Website may be out of date, and the Company makes no commitment to update such material. To the maximum extent permitted by law, the Company provides you with the Website on the basis that the Company excludes all representations, warranties, conditions and other terms (including, without limitation, the conditions implied by law). If you become aware of any unauthorized third party alteration to the Website, contact us per instructions found in Section 16 (Contacting Us) with a description of the material(s) at issue and the URL or location on the applicable Website where such material(s) appear. Subject to Section 12 (Indemnification), the Company, any other party (whether or not involved in creating, producing, maintaining or delivering the Website), and any of the Company's group companies and the officers, directors, employees, shareholders or agents of any of them, exclude all liability and responsibility for any amount or kind of loss or damage that may result to you or a third party (including without limitation, any direct, indirect, punitive or consequential loss or damages, or any loss of income, profits, goodwill, data, contracts, use of money, or loss or damages arising from or connected in any way to business interruption, and whether in tort, including without limitation negligence, contract or otherwise) in connection with the Website in any way or in connection with the use, inability to use or the results of use of the Website, any websites linked to the Website or the material on such websites, including but not limited to loss or damage due to viruses that may infect your computer equipment, software, data or other property on account of your access to, use of, or browsing the Website or your downloading of any material from the Website or any websites linked to the Website. Nothing in these Terms and Conditions shall limit the Company's liability for: (i) death or personal injury caused by the proven negligence of the Company, its directors, agents, officers or representatives; (ii) fraud or fraudulent misrepresentation; or (iii) any other liability which cannot be excluded or limited by law. © 2017 Brown-Forman Corporation. All Rights Reserved. A. This Agreement applies only to the Site. B. You may link by using only standard text hyperlinks, such as those shown above. You may not link by using any trademark, service mark, logo, or other proprietary images, brand names, icons or other intellectual property of the Brand either on the Site or in any website source code (such as a meta tag) and no such rights are granted herein. Each site shall only market products to adults and shall have an independently audited demographic indicating at least 70% of its site visitors are of legal drinking age. The age when a person is considered an "adult" will vary among countries. When a country has adopted either a "minimum drinking age" or "minimum purchase age," such legal requirements will define what is an “adult” for purposes of this Agreement. Each site will comply with the laws, local industry codes and regulations, including any limitations or restrictions, imposed by the governments of the markets in which our products or your products are marketed or sold. No site will use religious or other cultural symbols in a way that is likely to offend a particular religious or ethnic group. No site will use sexual slang, situations or depictions, or exploit the human form in any manner that offends local standards of decency. With respect to the promotion and use of beverage alcohol, none of the sites on which the link will appear will violate, nor will they contain any content prohibited by, the Code of Responsible Practices for Beverage Alcohol Advertising and Marketing of the Distilled Spirits Council of the United States (DISCUS) available at www.discus.org/industry/code/code.htm. You agree not to use the link on any website that disparages the Brand, the Site, or the Brand’s products or services, or which infringes on the Brand’s or Brown-Forman Corporation’s or its affiliates’ intellectual property or other rights. You agree not to use the link on any website that contains, or links to any other websites that contain obscene, discriminatory, offensive, political or pornographic material of any kind. You may not create frames around our web pages or use other techniques that alter in any way the visual presentation or appearance of our Sites. You may link only to the opening page for each of the Brand’s Sites and you may not skip the web pages requiring the viewers of our Sites to verify their age. You may link to the Site only by accepting this Agreement and by completing our contact form. You agree to indemnify and hold the owners of the Brand and its affiliates (“Brand and Affiliates”) harmless from and against any claims for damages or other claims, asserted against the Brand and Affiliates including without limitation all indirect liability claims, consequential damages, losses, liabilities, costs and expenses (including without limitation reasonable legal fees) arising you’re your website being linked to the Site. The Brand reserves the right to terminate this Agreement and to seek the appropriate remedies against any action by you that does not conform to these terms and conditions. You agree that you have entered into this Agreement as a matter of your own free will, and that you will not challenge the validity of this Agreement or its binding effect or enforceability. Upon the termination of this Agreement, you shall immediately remove the link from your website(s). This Agreement cannot be modified except in a writing signed by both parties. This Agreement is subject to the substantive laws of the Commonwealth of Kentucky and the state and federal courts resident therein, and you agree to be subject to the personal jurisdiction of the Commonwealth of Kentucky, Jefferson County, and the federal court in Louisville, Kentucky with respect to this Agreement. No waiver of any right or action by either party shall be deemed a waiver of any other right or action, or of a continuing waiver of the right or action. Note that most browsers are initially set to accept cookies. However, you have the ability to disable cookies if you wish, generally through changing the internet software browsing settings. It may also be possible to change the settings to enable acceptance of specific cookies. Please refer to the help section on your browser. If cookies are disabled you will be unable to access our Website. For more information about cookies and how to disable them please visit www.allaboutcookies.org. Complete our linking agreement form. A cookie is a text-only string of information that a website transfers to the cookie file of the browser on your computer's hard disk, so that the website can remember certain information. Cookies cannot be used by themselves to identify you. Currently, two types of cookies are used on this Website. However, cookies may be changed at any time by updating this posting. Please refer to the "Last Updated" legend at the top of this posting. Session cookies are temporary cookies that remain in the cookie file of your browser until you leave the site. Carry information across pages of our Website and maintain your preferred language throughout the session. For example: We keep a session cookie which allows us to distinguish you from other users, so that we can keep a virtual "basket" of the products you add to your shopping cart. This cookie will be initiated each time you affirm your age on our Website. This cookie will be initiated each time you affirm your age on our Website. Persistent cookies remain in the cookie file of your browser even after the browser is closed. The length of time a cookie remains depends on its lifespan. Help us recognize that you have already affirmed your age with the Website. If you select the “Remember Me” option, a non-expiring cookie will be used to keep your birth date and country of residence and allows re-entry to the Website without having to affirm your age each time you visit. If you do not choose the “Remember Me” feature, then a cookie is held for two hours and allows re-entry to the Website without having to affirm your age each time you visit. After two hours, you will be prompted to affirm your age again to gain entry to our Website. Track the number of entries to a contest/sweepstakes/prize draw. If a contest/sweepstakes/prize draw allows only one entry per day, a cookie may be used to prevent multiple entries. This type of cookie is used only if you enter a contest/sweepstakes/prize draw. Generate anonymous, aggregated statistics about the visitors to this Website by using Google Analytics. These statistics help us understand how users navigate the Website and help us improve the structure of our Website. These statistics include for example: most popular and least popular pages visited, amount of time visitors stay on the site and the percentage of visitors that leave the site before entering their birth date. These cookies expire within two years after you leave the Website. Google offers instructions to opt out of tracking by Google Analytics across all websites at http://tools.google.com/dlpage/gaoptout. Some of the pages you visit on our website use content embedded from another website, for example YouTube. You may be sent cookies from these websites. These cookies are used to deliver adverts more relevant to you and your interests. They are also used to limit the number of times you see an advertisement as well as help measure the effectiveness of the advertising campaign. They are usually placed by advertising networks with the website operator’s permission. They remember that you have visited a website and this information is shared with other organisations such as advertisers. Quite often targeting or advertising cookies will be linked to site functionality provided by the other organisation. Note that most browsers are initially set to accept cookies. However, you have the ability to disable cookies if you wish, generally through changing the internet software browsing settings. It may also be possible to change the settings to enable acceptance of specific cookies. Please refer to the help section on your browser. So that you can make full use of the personalised features on our Website(s), your computer, mobile phone or other device will need to accept Cookies. If our site offers online shopping and cookies aren’t enabled on your device, it will mean that your shopping experience on our website will be limited to browsing and researching. Unfortunately you will not be able to add products to your basket and buy them.